Photographs of tequila bottle and decorative box. 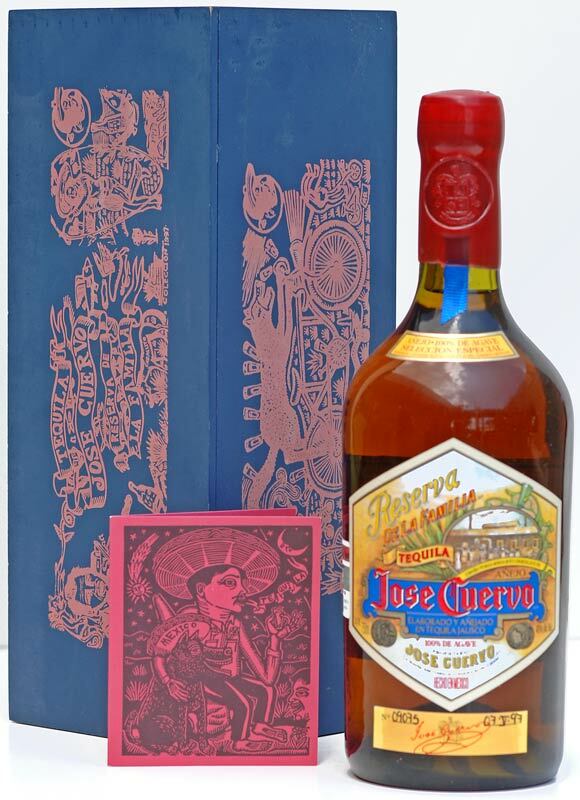 Jose Cuervo Reserva de la Familia Tequila 1997 Collection in a box with artwork by Mexican artist Artemio Rodriguez. Tequila Reserva de la Familia was introduced in 1995 to celebrate the 200-year anniversary as the world's leading producer of tequila. Each bottle is handmade, numbered, dated and sealed in wax. 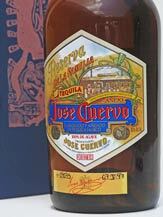 Note: This bottle and box were purchased in July 2008 from Mundo Cuervo. Bottle Number: 09075 - Date: 07-V-97 (07 May 1997). Every year Tequila Reserva de la Familia continues supporting the youthful art of Mexico. This year our boxes display the work of Artemio Rodriguez, born in Tacdinbaro, Michoacdn in 1972. Artemio has been working in several schools and studios since 1989, such as the Juan Pascoe's "Martin Peseador" studio in Michoacdn. The National School of Fine Arts in Mexico City, Self Help Graphics Studio in Los Angeles. He is currently an artist in residence as Kala Art Institute in Berkeley, California. His work has been exhibited in Mexico, Spain, Ireland and The United States. He has permanent collections in the University of Arizona Museum of Art, Laguna Art Museum (Los Angeles) and the Institute of Graphic Arts in Oaxaca. Recently he participated in the publication of a limited edition of Aesop's fables in the Nahuatl and Spanish languages which included 47 illustrations of these fables. The images presented on this box were specially created for the 1997 collection of Tequila Reserva de la Familia. Text from the card inside the box - copyright Jose Cuervo. 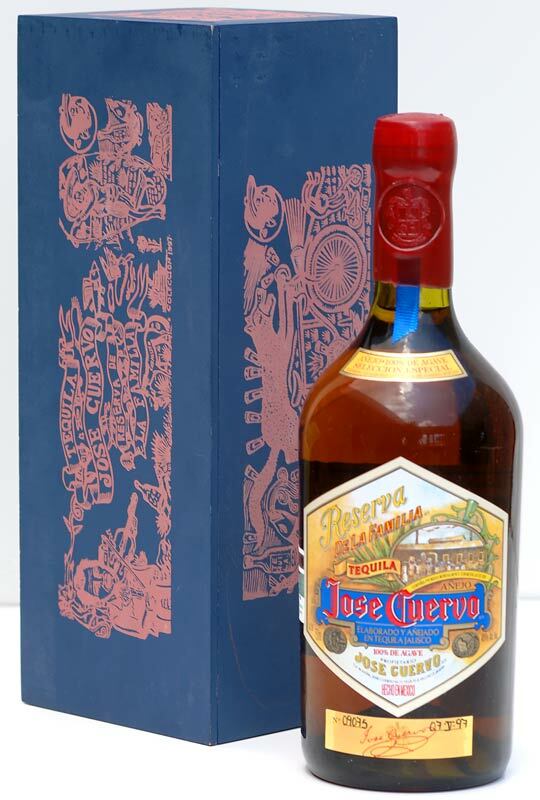 Casa Cuervo, S.A. de C.V. - 40% Alc. Vol.